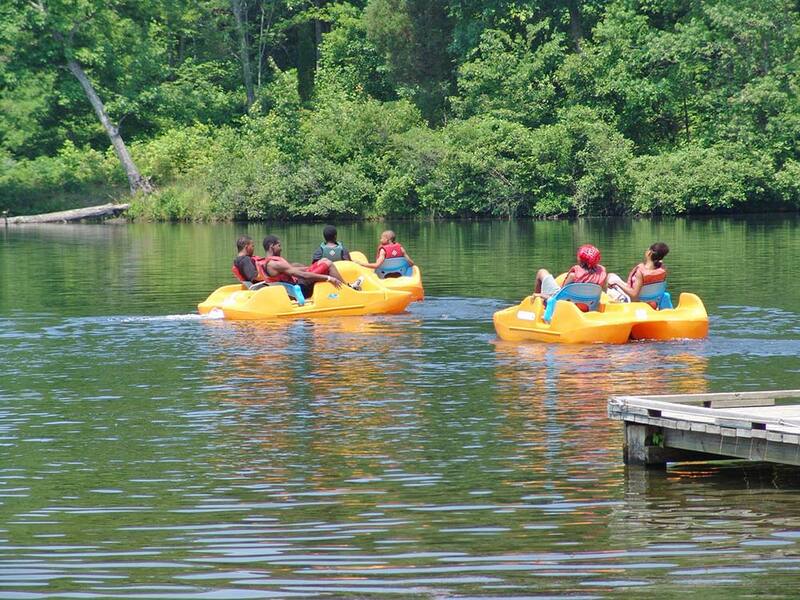 Twin Lakes State Park, centrally located in Virginia’s Piedmont region, provides visitors from all over the Commonwealth with a variety of lakefront activities in a secluded setting. Swimming, camping, fishing, biking, canoeing and hiking are popular activities. There are two cabin areas, Twin Lake’s Cabins and Cedar Crest Cabins, each with two bedrooms. In addition there are 34 campsites available throughout the park. For information on availability of overnight accommodations, particular park amenities or to make a reservation, you can reserve online or call.